The 19th century, 3-star Hotel Re di Roma is a short walk from the Basilica de San Giovanni. The boutique design hotel serves up a complimentary breakfast, as well as drinks and light bites in its on-site bar and restaurant, and has a 24-hour concierge service. 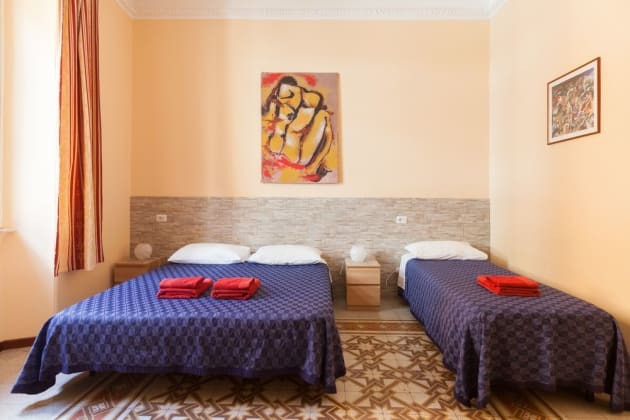 The Hotel Re di Roma's elegant air-conditioned guestrooms all have an LCD TV, wifi access and a private bathroom with complimentary toiletries and a hairdryer. 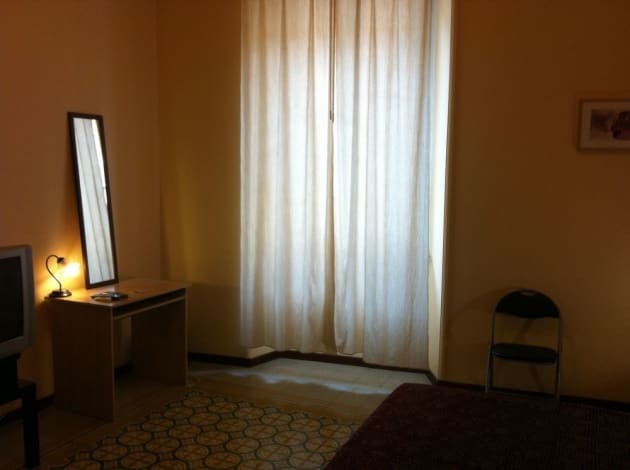 Make yourself at home in one of the 42 air-conditioned rooms featuring refrigerators and LCD televisions. Complimentary wireless Internet access keeps you connected, and digital programming is available for your entertainment. Private bathrooms with showers feature rainfall showerheads and complimentary toiletries. Conveniences include safes and minibars, and housekeeping is provided daily. 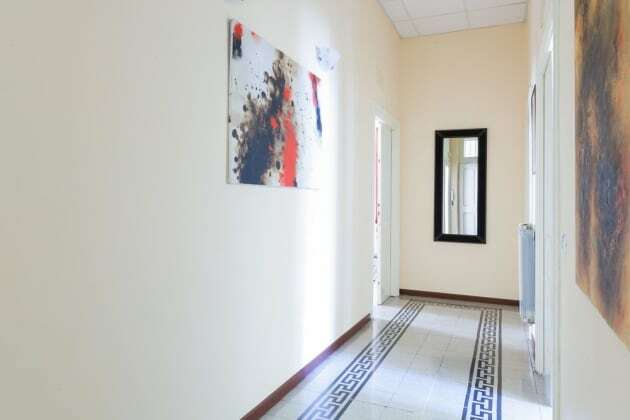 The Romami B&B guesthouse Rome in San Giovanni area features air conditioned rooms with private bathroom and Wi-Fi internet connection. The property also features a shared kitchen. Domus Aurea is 1.6km from Romami, while Coliseum is 2km from the property. The nearest airport is Rome Ciampino Airport, 11km from Romami. 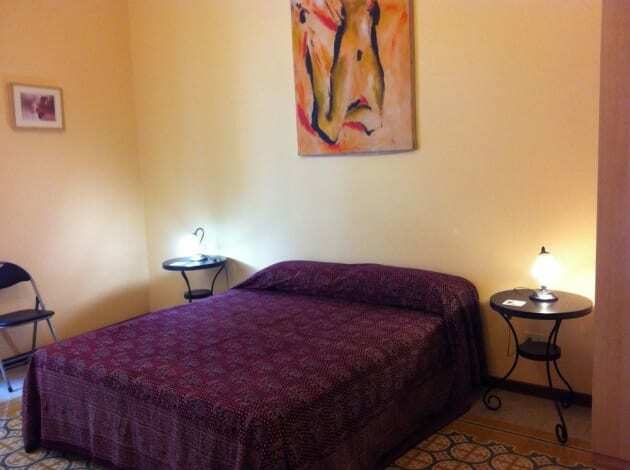 The 6 accommodations at the Romami B&B Rome feature air conditioning, hairdryer, television and Wi-Fi internet connection. The property has a shared kitchen. There are also numerous dining venues in the vicinity. 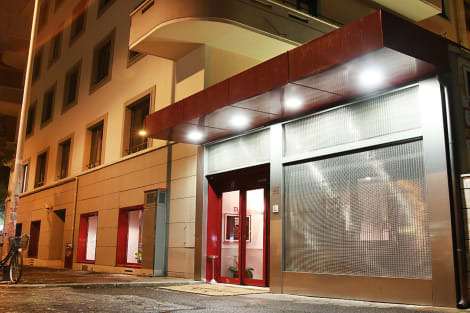 The Best Western Hotel Piccadilly is found on the bustling via Magna Grecia, in Rome's business district, near the famous St. John's Lateran Basilica and just three metro stops from Termini railway station. The hotel offers free wi-fi throughout, and there is a bar and lounge where you can relax. Each room has a TV, private bathroom with hairdryer and a minibar. The Cilicia Hotel is a three-star hotel located along "Via Appia Antica", in the heart of Rome, about 800 m from the St. John Lateran Basilica. Thanks to its central location and its proximity to urban public transport, the Cilicia Hotel is well connected to the endless sites of historical and artistic interest of the Eternal City. Its location, its parking lot, and its large garden certainly enhance the value of our hotel. Our staff is skilled in hospitality and management, 24 hours 24.